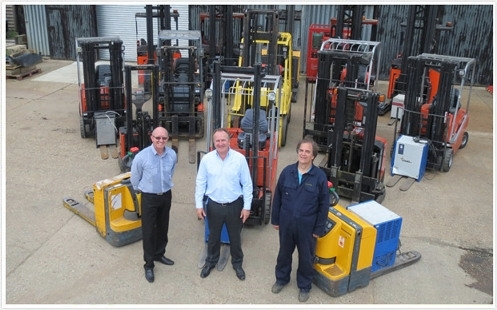 Matrix Handling have been successfully wholesaling forklifts and associated equipment to UK and overseas dealers for more than 20 years. Based in Berkhamsted, Hertfordshire we hold a constantly rotating stock of equipment which comprises of all the popular makes. This experience combined with an excellent service have earned Matrix Handling a solid reputation and made us a very reliable and trusted company. We buy and sell any make or model. Each machine that comes into our stock is submitted to a very thorough cleaning process before undergoing a detailed inspection. We realize that many of our customers do not want to travel to view machines nowadays, but would rather buy from pictures and reports via the internet. To this end in addition to photographing our equipment we are now videoing many of our machines. We always endeavor to describe the condition of our machines as accurately as possible, so that you know exactly what you are buying. Experience combined with an excellent service have earned Matrix Handling a solid reputation. Click to find out more about what we do. Your enquiry has been sent to Matrix Handling Ltd.